Good afternoon, I’m your host, Hercules. In today’s article, I review my first product by AlkaViva, the Athena H2 Water Ionizer. According to AlkaViva, they’re the grandfather of alkaline water machines in the United States; and Life Ionizers, Tyent, and Chanson started out as dealers for their company. AlkaViva is the company who produced the hugely popular Jupiter and Melody water ionizers many moons ago. Ionizer technology has come a long way since then. The H2 series by AlkaViva stands for “molecular hydrogen.” There is a new wave in the alkaline water machine industry, and consumers are now on the hunt for water ionizers that not only raise pH and lower ORP but add a healthy dose of molecular hydrogen. I’ll tell you up front that the Athena H2 is the most affordable water ionizer I’ve seen that also boosts molecular hydrogen. Let’s see how the Athena H2 stands up vs Kangen, Life Ionizers, and Tyent. The Athena H2 is AlkaViva’s mid-range option with a lower price tag than you’ll find on Enagic’s, Tyent’s or Life’s flagship ionizers. Where are AlkaViva Ionizers manufactured? I messaged a sales rep to find out where AlkaViva produces its ionizers and found out they’re made in South Korea. This is a good thing. All the best water ionizers in the world are manufactured in South Korea or Japan. In both of these countries, there are systems in place to verify the ionizers are medical grade. AlkaViva also lists the most important certifications I like to see in a water ionizer company including certs from the FDA, ISO, A+ BBB rating, and GMP (Good Manufacturing Practice). Overall, I can say with confidence that AlkaViva is a trustworthy company selling legit medical-grade water ionizers with top-notch platinum-coated titanium plates. One of the things I like most about AlkaViva is the thorough testing of their filters. They independently test their water using EPA-certified lab testing for 172 known contaminants. Their results show 99.9% removal of almost all known contaminants in our drinking water. These days, we’re fighting to drink clean water because municipal water treatment removes the big nasties but leaves us with trace amounts of contaminants leftover from the chemicals used to treat the water. AlkaViva UltraWater filters use a 5-stage process with 16 different media & filtration technologies to produce some of the cleanest, best-tasting drinking water on the planet. The filtration media includes zeolite & silver-impregnated BioStone carbon, bioceramic tourmaline, bio-ceramic balls to remove chlorine plus heavy metals, and a sediment shield. I have yet to see another water ionizer company put this much effort into the production of its filters. Also, AlkaViva replacement filters only contain the filtration media, which means you don’t need to throw away the plastic housing each time you replace your filters. Is hydrogen water truly healthy or a scam? There’s a massive review of 321 articles outlining the biological benefits of molecular hydrogen-rich water. Antioxidants aren’t enough to slow down the aging process alone because they can target both beneficial and harmful free radicals. The key to molecular hydrogen is it targets only the harmful free radicals, which effectively boosts the anti-aging benefits of alkaline ionized water. When you drink water from the Athena H2, you get the best of bost worlds – molecular hydrogen plus alkaline water benefits. You can choose to install you Athena H2 as a countertop ionizer or under-counter machine. The standard H2 unit comes with everything you need for a countertop installation while a separate kit is required for the under-counter installation. Most people should be able to install the countertop model without the need for a plumber. You can also choose to install the countertop edition and upgrade to the under-counter installation later. AlkaViva as a company has an A+ BBB rating and has been a BBB-accredited business since 2007. One thing I did find interesting is they have significantly fewer customer reviews than other ionizer companies I’ve reviewed – especially surprising since they’ve been in business since 2003. However, the reviews I did find are positive, and the A+ BBB rating is great to see. Another gentleman on Facebook has been a proud AlkaViva customer since 2006. He reported fewer allergy, asthma, and arthritis symptoms. He later complimented the customer service, reporting that AlkaViva “came to the rescue” after he accidentally knocked his ionizer off a table. Every water ionizer company included on my site is trustworthy, and I put AlkaViva right up there with the best of the best. 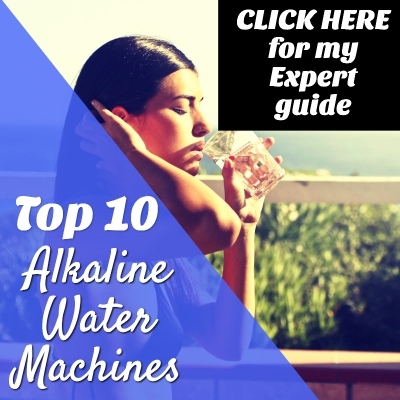 After researching their company and long history as an alkaline water machine dealer in the United States, I can say without a doubt they’re a legit company. What I like about the Athena H2 is the price point for this level of technology. You would pay roughly triple for an Enagic Kangen Water machine. For those of you who want molecular hydrogen water benefits and to save a few grand, the Athena H2 is perfect for you. It may not be as powerful as the Tyent UCE-11 or Life MXL-15, but the Athena H2 certainly gets the job done. What’ I’ve come to realize after many, many hours of research is there are three key factors to drinking the healthiest water on the planet: purity, optimal pH and negative ORP (antioxidant) levels. Drinking water with too high a pH can be dangerous, and the Athena H2 produces water in the perfect pH range with optimal molecular hydrogen levels and a max ORP of -800 mV. And last but not least, AlkaViva’s filters impress me the most. They provide lab results from an EPA-certified independent tester. Plus, they manufacture their filters in the US. I couldn’t ask for more from a water ionizer filter than what they provide. Overall, I give the Athena H2 a big thumbs up. Click Here to buy the Athena H2 with confidence.